Home Automation has been one of the hottest subjects in the consumer electronics market for the last few years. In 2016 the smart home market comprised over $10 billion in revenue in the US. By 2020, that number is expected to more than double. Over a quarter of households in the United States have some sort of smart home device installed, with many more soon to follow. It’s no surprise then why so many people are talking about this rapidly growing market. Like millions of others, you may feel like you’ve been sitting on the sidelines watching the smart home revolution from afar. A dizzying array of competing manufacturers and standards can make purchasing a home automation system a daunting task, even for the most tech-savvy among us. Fear not – HeroPin is here to cut through the noise and help you make confident, informed choices when it comes to your smart home solution. This post is the first installment in a series about smart homes. This ongoing series will aim to cover every topic in home automation and answer any question you may have. Be sure to check back regularly to keep up to date with our articles. What are the different components of a home automation system? Once you have a good idea of what a smart home is (and what makes it so awesome) we’ll take a look at smart hubs: the real brain of any home automation system. We’ll be comparing products from big names like Apple, Amazon and Samsung and discussing how they differ in terms of connectivity, function and price. Simply put, a smart home is a living space where one or more systems are connected to, and can be controlled via, the internet. The term “system” in this instance is intentionally vague; it can refer to your temperature, lighting or security system, or pretty much anything else inside your house. Typically, these systems are all hooked up to a convenient, easy-to-use interface that allows you to remotely control them or automate their behavior. More than just a way to connect everything in your home together, home automation is a way to connect you to your home. A better question to ask might be “what can’t home automation do for me?” The huge variety of smart home products on the market means that there is precious little that can’t be done, especially given the power and customizability of high-end systems like those offered by Control4 or Crestron. Let’s try and paint a picture of what a smart home may look like. Imagine this: You’re on your way home from work at the end of the day. When your phone’s GPS detects that you’re nearly there, your automation system kicks in. The heater turns on and the shades rise in anticipation of your arrival. Punch in your door code and the door is unlocked, the alarm is disarmed, and your own personal playlist chimes out from the wireless speakers around the house. When you’re ready for bed, a single button shuts down all the lights, silences the music and automatically lowers the heat to a comfortable sleeping temperature. Of course, the time, expertise and knowledge required to set up a truly custom home automation solution means that, (for now at least) most consumers will have to stick to the out-of-the-box experience offered by some of the big brands. While that does mean you may be limited in terms of what can be done, even the simplest setups can dramatically change the way you interact with your living space. Controllers/Hubs – As stated before, these serve as the brain of your setup. They make sure that all the different parts can communicate and play nicely with each other. They also enable advanced features such as scheduling and automated triggers (if this happens, do that). A hub isn’t strictly necessary for basic setups, but they are usually worth it for the convenience and added features. Interfaces – An interface is any device by which you, as a human being, interact with your smart home. An interface can be just about anything: a remote control, a light switch, dedicated touchscreen, or even your smartphone. Most controllers or hubs will integrate some type of interface. Sensors – These are devices that your smart home uses to gain some information about the environment. A common example would be a temperature sensor. By reading the temperature in your home, your smarthome system can adjust the heat or A/C or open and close the shades on your windows. Outputs – Outputs are the real doers of your home automation system. They receive some sort of input from the hub or interface, and perform an action in turn. Think speakers, lights, smart appliances, or anything else that can be controlled by your smart home. This is just a general categorization of how smart homes are put together; many devices can fit into more than one category and the distinction is often unclear. But it should give you a frame of reference for understanding how a home automation system works. Smart hubs (often called “controllers”) vary widely in price and function. Most of them come with a mobile app that allows you to interact with them through your smartphone in a familiar manner. Others include more exotic ways to control them, such as with voice commands. Where smart hubs really differ, however, is in their list of supported third-party smart devices and connection protocols (WiFi, Bluetooth, Z-Wave, Zigbee, etc). Compatibility is really what makes or breaks a smart hub, especially if you already own some smart devices, so we’ll be sure to cover those in-depth. Okay, you caught us. The first item on this list is not actually a smart hub at all. Rather, Apple’s HomeKit is a software framework for smart home devices. Manufacturers of HomeKit-enabled devices receive a certification from Apple, letting you know that their products are compatible with the HomeKit ecosystem. Compatible devices can be controlled through your iPhone’s Home app, or by talking to Siri through your phone, iPad or even Apple TV. It’s important to note that if you want to control any of your HomeKit devices remotely from the office, you need to have an iPad or Apple TV at home to relay your commands. Having launched in 2014, the HomeKit ecosystem has already attracted an impressive, if somewhat limited, list of top-quality smart devices and accessories. Philips Hue lights and ecobee thermostats are HomeKit-ready, and Apple manufactures several of its own smart home products. The downside is that there is no way to connect with non-HomeKit devices, so you may find your options limited when seeking to expand your smart home’s functionality. HomeKit is a solid option for those who are already invested in Apple’s line of products. Being able to control your smart home right away with your iPhone or Apple TV is certainly appealing. If you’re looking for a little more flexibility from your home automation system, however, you might be better off looking elsewhere. Although it was initially touted as a Bluetooth speaker with the added feature of Amazon’s Alexa virtual assistant, the Echo has quietly become one of the most popular smart hubs on the market. Much like Siri, you can issue voice commands directly to Alexa to control any of your connected smart devices. Where Amazon and Apple differ, however, is the list of compatible products. Apple has enforced strict hardware and software requirements for HomeKit-enabled devices, meaning that only products designed with HomeKit integration in mind will ever work with it. Meanwhile, Amazon’s cloud-based platform allows developers to integrate with Alexa without modifying their product, so even the Belkin WeMo switch you’ve had for five years can be controlled through your Echo. This ease of integration has seen smart device manufacturers flock to the platform, and the list of compatible devices is significantly larger than HomeKit’s. An added benefit of the Echo is the huge library of “skills”, which are basically apps for Alexa. By using any of the more than 3000 available skills, you can tell Alexa to do anything from ordering a pizza to calling an Uber. More and more skills are being developed, and expanding the capabilities of Amazon’s virtual assistant in new and exciting ways. The Echo has one more great feature we haven’t talked about yet, and that is its ability to integrate with other smart hubs such as those offered by Samsung or Wink. This allows you to leverage the powerful voice command features of Alexa with the flexibility and connectivity of these other hubs. Overall, the Amazon Echo is a solid choice, whether you use it to control your smart devices directly or use it as an add-on for an existing smart hub. The comprehensive (and growing) list of compatible devices leaves little to be desired, and the ability to interact with Alexa by voice makes your smart home system that much more convenient. Google is no stranger to the smart home space, having acquired both smart thermostat manufacturer Nest and WiFi camera maker Dropcam in 2014. 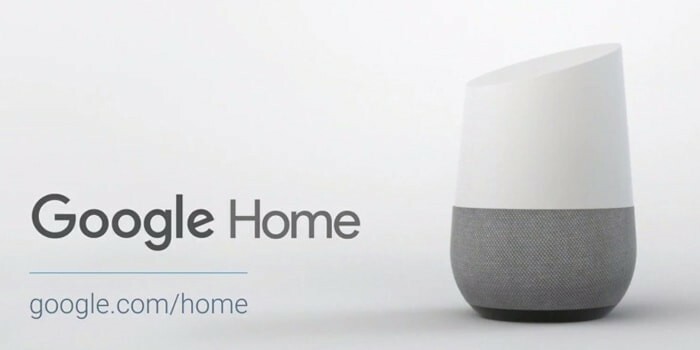 Now, with the Google Home voice-activated speaker, the internet search giant is looking to compete directly with Amazon in the home automation market. An initial comparison between Google Home and the Amazon Echo will reveal more similarities than differences: both allow you to control your smart devices with convenient voice commands, both work well as personal assistants which help you manage your calendar, make to-do lists or answer simple questions, and both can be integrated with the Samsung SmartThings hub to build a more advanced smart home setup. So why invest in one over the other? There are a few practical reasons that may help you decide which of these voice-controlled smart hubs is right for you. 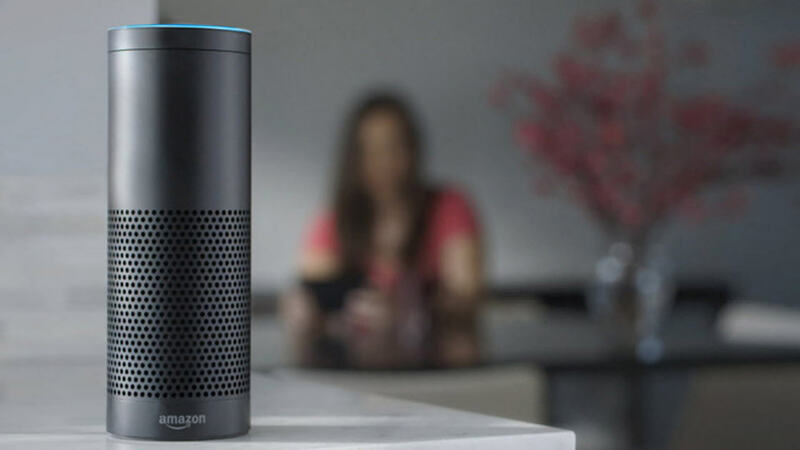 For starters, the Amazon Echo has a much wider ecosystem of compatible devices that it can work with out of the box. The Google Home, having been released in November of last year, hasn’t had nearly as much time to attract partners and build up a solid roster of smart home accessories. What’s more, the aforementioned “skills” give the Echo a big leg-up in terms of its capabilities as a virtual assistant. That isn’t to say that the Home doesn’t have any advantages. Being able to leverage the Google search engine, the Home is able to respond a little more intelligently to your questions than the Echo. It also seems to respond to you in a more conversational way, making interacting with with Google Home a bit less awkward than with Alexa. And despite the gulf between the Echo and Home in terms of compatible smart devices, you should expect that gap to close rapidly as Google gets more manufacturers on board with its smart home platform. Ultimately, it’s a matter of personal preference when it comes to the Google Home or Amazon Echo. Do you eat, sleep and breathe Google? If so, the Home is probably the choice for you. Are you a die-hard Amazon Prime member? In that case, go with the Echo. Both products work great as wireless speakers, virtual assistants and smart hubs, with no huge advantages one way or the other. It’s unclear at this point which of these two tech giants will end up on top in the smart home space, but as the technology gets more intelligent and more smart home accessories become available, these types of voice-activated assistants will become an essential part of any smart home system. All of the previous items on this list make a great entry point to the world of home automation. They’re affordable, convenient to set up and easy to use. What they lack, however, is the true power and sophistication to make your home truly smart. Enter the Samsung SmartThings smart hub, the first entry on this post that actually serves as a dedicated controller for your smart devices. Featuring a broad selection of monitors and motion sensors, SmartThings can do more than respond to your commands – it can react to your environment. Imagine a thermostat that lowers the temperature when it detects you leaving for work in the morning, and then turns it back up when you get home. Or a kitchen that brews a fresh pot of coffee and switches on the weather channel when you get out of bed. With Samsung SmartThings, the possibilities are limited only by your imagination. Okay, maybe not just your imagination. A little tech-savvy and a fair bit of patience can go a long way when it comes to configuring your smart home with the SmartThings hub. The SmartThings app, free for Android, iOS and Windows Phone, can be used to configure virtually any aspect of your home automation system, but the interface can often become confusing and frustrating to use. That being said, the results are worth the effort. Creating schedules and routines with SmartThings can save you time and money, and help you feel more secure in your home. With built-in support for WiFi, Bluetooth, ZigBee and Z-Wave, the Samsung SmartThings hub works with a huge number of smart devices in every category from lighting and heating to audio and security. Browsing the SmartThings website, you can see compatible products from every top brand, including ecobee, Ring, Bose, and Philips Hue. This wider selection means that not only can you customize your smart home just the way you want it, you can save money by having a lot of cheaper alternatives to choose from. The SmartThings hub has some competition in the mid-range home automation controller market, most notably the Wink hub. Wink offers many of the same features as SmartThings, including ZigBee and Z-Wave wireless communication and advanced automation and scheduling via the free app. Where Wink falls short is in the sheer selection of compatible devices; the list of gadgets that work with the Wink hub is by no mean small, but it fails to offer quite the same selection as SmartThings. Overall, the Samsung SmartThings hub appears to be the best place to start for both do-it-yourselfers and those looking to step up from the relatively simple smart home features of Apple HomeKit, the Amazon Echo, or Google Home. The moderate price point makes SmartThings a perfect solution for people who want a little more from their smart home, without breaking the bank. This article wouldn’t be complete without at least a nod to the smart hubs at the high end of the market. The systems offered by Crestron, Control4 and Savant offer unparallelled control of your smart home, allowing every facet of your living space to be remotely controlled, automated, and managed through just about any input you can think of. All of this power comes with a downside though – these systems are too complicated and expensive for the average consumer to put together themselves. You need to hire a professional installer if you want this level of performance from your home automation system, and that can add a large amount to the cost. But for those with the money to spare, a high-end smart hub can turn your wildest dreams into reality. That’s all we have to say on the subject of smart hubs for now. We hope this post has given you a good understanding of what a smart home is, how it works, and what possibilities home automation can open up for you. Be sure to check back for the next installment in the Smart Homes 101 series which will cover one of the most popular and common uses for home automation, smart lighting. And remember, if you ever need a hand setting up or configuring your home automation system, or just want some cool ideas for how to personalize your smart home, you can always download the HeroPin app to connect with a Smart Home Hero in your area!